Magellan Corporation is a leading independent distributor of specialty steels as well as other metallurgical products and is honoured to support numerous deserving charitable organizations with a diverse range of causes. It collaborates with one scholarship of EUR 8,000 for students from USA, Canada or Mexico. 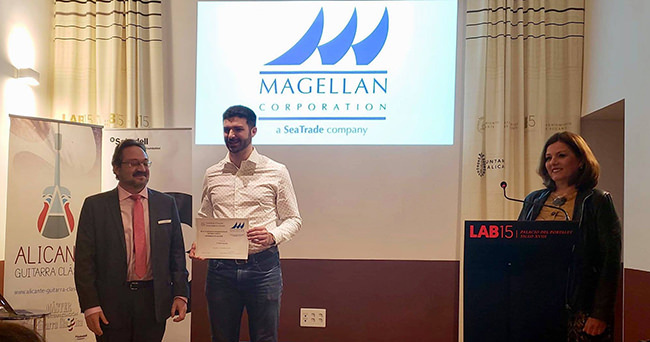 The selected student has been Evan Taucher from Florida, Francisco Torres Alfosea, vice chancellor of Educational Innovation and Quality, has delivered the scholarship on behalf of Magellan Corporation. 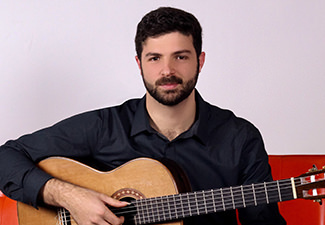 During his two years of study with Rene Izquierdo, Taucher won 8 separate prizes in professional competitions throughout the United States including 1st prizes in the Schubert Club Competition, Appalachian State Guitar Competition, and the SIYAO instrumental competition where he competed against all instruments and ensembles. In 2017, Taucher was awarded a grant from the U.S. Embassy to compete in the GuitarArt festival in Belgrade, Serbia. In the summers of 2014 and 2015, he performed at Busch Gardens Tampa on both solo classical and electric guitar with the award-winning Burn the Floor dance company. Taucher was also the first guitarist to enter the University of Texas at Austin’s prestigious Artist Diploma program where he currently studies with Adam Holzman. In 2018, Taucher was selected as the North American Magellan Scholar which funded his studies at the Universitat d’Alacant in Spain for a Máster en Interpretación. Taucher is passionate about sharing the music of the guitar on stages around the world, as well as connecting with the vast guitar community through the medium of social media. Taucher hosts weekly technique classes as well as small competitions targeted at connecting guitarists with young composers. Taucher is a D’Addario Artist and plays a guitar made by American luthier Steven Walter.